Egypt’s shares are expected to resume their rally after the Eid Al-Fitr holiday, with corrections finally coming to an end after almost six weeks of downwards trajectory, analysts polled by Daily News Egypt said. Brokerage firms too expect the Egyptian Stock Exchange (EGX) to bounce back from last month’s losses in the coming period. “I expect the EGX30 to move towards 16,800 points and EGX70 towards 860 points,” said the head of technical analysis division at Acumen Securities firm, Mohmed El-Aasar, advising investors to sell stocks upon reaching such levels. “EGX30 may move between 17,300 points and 17,800 points this month, as any anticipated rallies will come naturally in response to previous retreats,” said the chairperson of Themar Securities, Adel Abd El-Fattah. In May, the EGX sustained big losses, as the EGX30 fell by 10.28% to close at 16,414 points, the EGX70 by 3.94% to 843 points, and the broader EGX100 by 7.31% to 21,38 points. Market capitalisation recorded EGP 76bn losses, closing trades at EGP 930.39bn in May, down from EGP 1.006bn in April. On the other hand, Al-Naeem Research Unit advised investors to buy stocks of Heliopolis Co for Housing & Development at EGP 31, saying that targets of EGP 32 then EGP 35, and EGP 30, are levels for halting losses. “The stock bounced back to close up at its nearest price, suggesting it has chance to revert to resistance level of EGP 32 and EGP 35,” stated a copy of the report obtained by Daily News Egypt. Also, Al-Naeem predicted that the EGX30 will test the resistance level of 16,700 points and 17,000 points, then 17,625 points next. “The EGX70, falling to the resistance level of 865 points, is expected to slide further towards 820-825 points,” Al-Naeem said, advising traders to seek fresh stimulus to embark on building new positions. The benchmark index EGX30 is testing basic support levels at 15,750 points, as absence of purchasing power casts doubts over viability of supports halting dipping moves, according to the head of technical analysis at Naeem Holding, Ibrahim El-Nemr, expecting that going below 15,750 points will push the index down further towards 15,425 points. “If the EGX30 managed to penetrate 15,750 points, it will head towards 16,500-16,600 points,” he added. Regarding the EGX70, He expected it to dip to 795 points then to 750-765 points on the backdrop of its failure to stay firm above the support level of 829 points. The Egyptian Exchange continued its correction process, which began early in May, during the week ended 7 June. Over the week, the benchmark index EGX30 dropped 490.87 points, or 2.99%, to close at 15,923.66 points after 660.27m shares were traded, generating EGP 3.33bn. Commercial International Bank added 1.61% to EGP 85.6 after 5.06m of its shares were traded, with a turnover of EGP 431.9m. The EGX70 plunged 5.71% to close at 794.55 points, while the EGX100 tumbled 4.69% to 2,037 points. Market capitalisation decreased to EGP 902.7bn over the week, compared to EGP 930.3bn a week earlier. Furthermore, the EGX50 fell 5.67% to 2,659 points, with a turnover of EGP 3.7bn. Foreigners were mostly buyers, with a net purchase value of EGP 1.3bn, while Egyptians and Arabs were mostly sellers, generating EGP 1bn and EGP 313m, respectively. 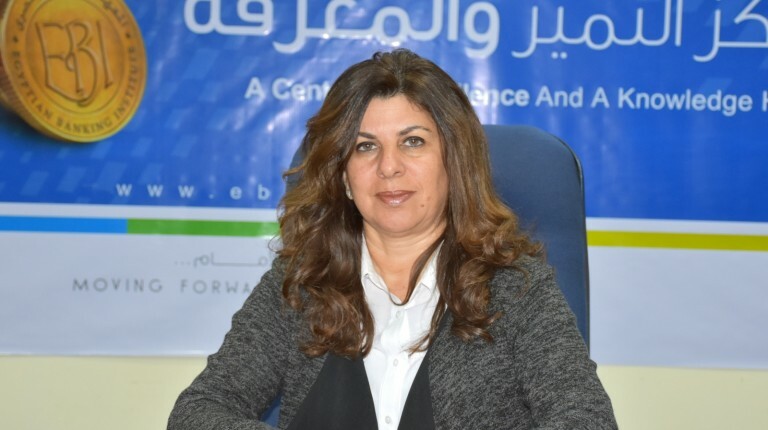 Meanwhile, Export Development Bank of Egypt’s (EBE) said it is seeking to raise profits by 26% year-over-year, according to its estimated budget for the fiscal year (FY) 2018/2019. The bank aims to raise clients’ deposits to EGP 41.8bn by the end of next year, up from estimated deposits of EGP 35.4bn in FY 2017/2018. The EGX-listed bank also plans to increase loans to EGP 25.3bn in FY 2018/2019, from EGP 19.9bn during the previous year. The EBE last reported a 46.97% jump in consolidated profit to EGP 560.4m in the nine-month period from July to March 2018, compared to EGP 381.3m in the prior-year period. In other market news, the Middle East Glass Manufacturing Company’s (MEGM) consolidated financial results showed a hike of 96.7% year-over-year in profits for the first quarter of 2018. Net profits amounted to EGP 17.1m in Q1 2018, compared to EGP 8.7m in Q1 2017, according to the company’s statement to the EGX released on Wednesday. Sales rose to EGP 374.5m in the first three months of 2018, versus EGP 340.9m in the same period of the prior year. As for standalone statements, the MEGM turned a profit in Q1 2018, generating an earning of EGP 1.2m, against a loss of EGP 6.5m in the same period of the previous year. The MEGM’s sales increased to EGP 146.4m in Q1 2018, compared to EGP 124.5m in Q1 2017, the EGX-listed firm noted. Meanwhile, Ajwa Group for Food Industries—Egypt’s consolidated financial results showed a 1.041% year-over-year surge in its profits during the first three months of 2018, registering EGP 8.4m, up from EGP 740,900 in Q1 2017. Sales fell to EGP 317.07m in Q1 2018, from EGP 445.018m in the same three months a year earlier, according to a bourse filing. At the level of standalone financial statements, Ajwa Group turned to loss after suffering EGP 4.3m during Q1 2018, versus posting a profit of EGP 418,890 in Q1 2017.